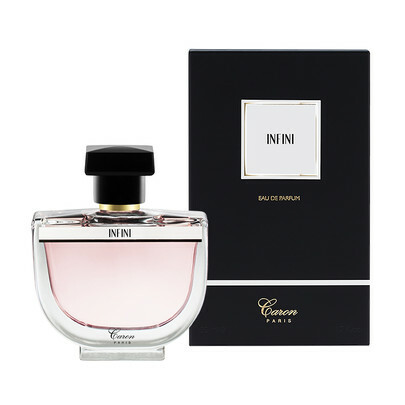 Caron is one of the largest French Haute perfumery brands. To go through a century-long history, you must access the sacred, fascinating universe, interrupted by countless bestsellers. Caron has always been avant-garde and has constantly put its know-how at the service of innovation. However, she has never forgotten the tradition of perfume. However, it is precisely this duality that we find in his new fragrance. His latest creation is called Infini and joins the prestigious collection of Essentials Caron. This is a fascinating and completely duality female portrait. What’s more, his only name is enough to give free rein to our imagination. Does infinity evoke the vastness of Caron’s know-how? Is it rather the infinity of the sky and the conquest of an elsewhere? Unless it’s about love and an infinity of emotions ?? 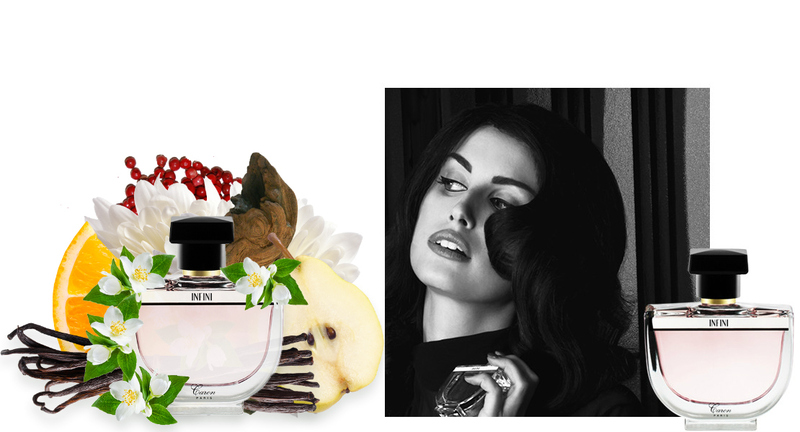 Infini is a fragrance with multiple contrasts. First of all, it seems to be inspired by a period in perpetual motion, that of the 20s. It symbolizes the image of a conquering and sensual woman, like all those who dared emancipate themselves during these past decades. In other words, Infinite preserves Caron’s heritage and identity by combining a modernity and a desire for change. Infinite Caron seems to possess in him the DNA of the brand united with the codes of today. The result is a very contrasted creation, combining strength and sensuality. 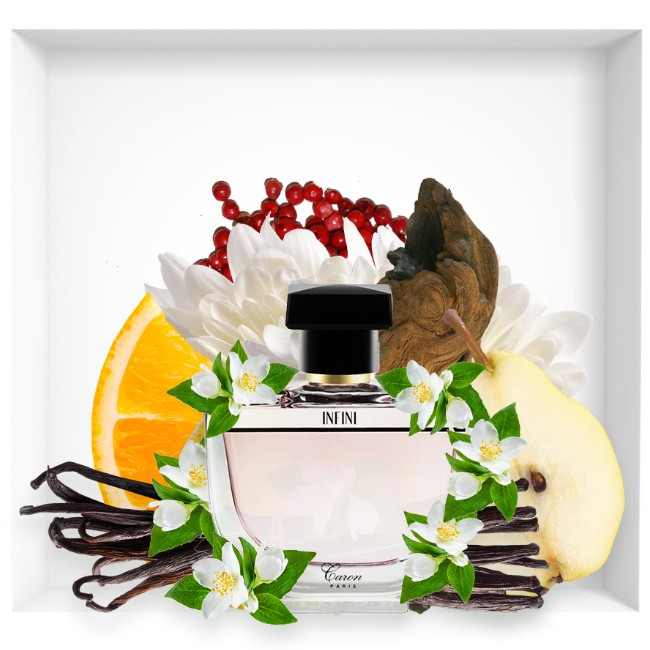 Top notes: pear, orange, pink pepper. Base notes: vanilla, benzoin, white musk, sandalwood. This new female portrait is part of the Essentials of Caron fragrance collection. All these perfumes are steeped in history and immerse us in the tradition and heritage of this unique brand. These are unique compositions that combine the most beautiful raw materials. The result is pure olfactory pleasure, an invitation to discover the reputable knowledge gained during the centuries of the perfume championship. Essentials of Caron is the perfect balance between tradition and avant-garde. They are ideally thoughtful fragrances for connoisseurs of perfumeries and lovers of rich raw materials. Again, Infini immerses us in an affair immersed in history, bringing with it the heritage of yesterday and the modernity of tomorrow. This exceptional composition is signed by the exclusive perfumer-designer of the Caron brand, William Fraysse, who succeeded his father in 2016, and who has been immersed in the history of Caron since his childhood. 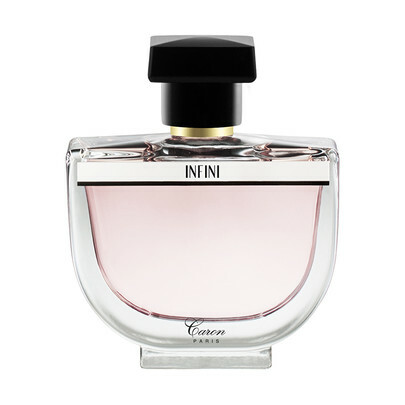 Like all His perfumes, Infini highlights two of her strongest words: modernism and heritage. This is the essence of the Caron brand. Infinite is the result of one of a tradition that continues from father to son for three generations. So, soaking in its scent is like giving yourself a piece of the history of one of its biggest luxury brands on the planet.